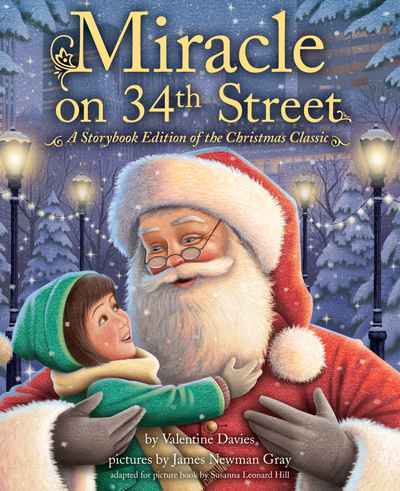 Experience the magic of Valentine Davies’ 70-year-old beloved holiday classic, Miracle on 34th Street, in picture-book format for the first time! For a little girl named Susan, Christmas could be any other day. She doesn't believe in Santa Claus or magic or miracles of any kind. Then, one day, she meets Kris Kringle. As she doubtfully tells him the gifts she wishes for most, deep down Susan finds herself hoping that just maybe, he is the real thing. Based on the original holiday classic, Miracle on 34th Street is a heartwarming story about generosity, imagination, and the spirit of Christmas.